Finely crafted in the USA from North American Hardwoods. Sanded, ready to finish in either stain or paint. Custom species and sizes available upon request. 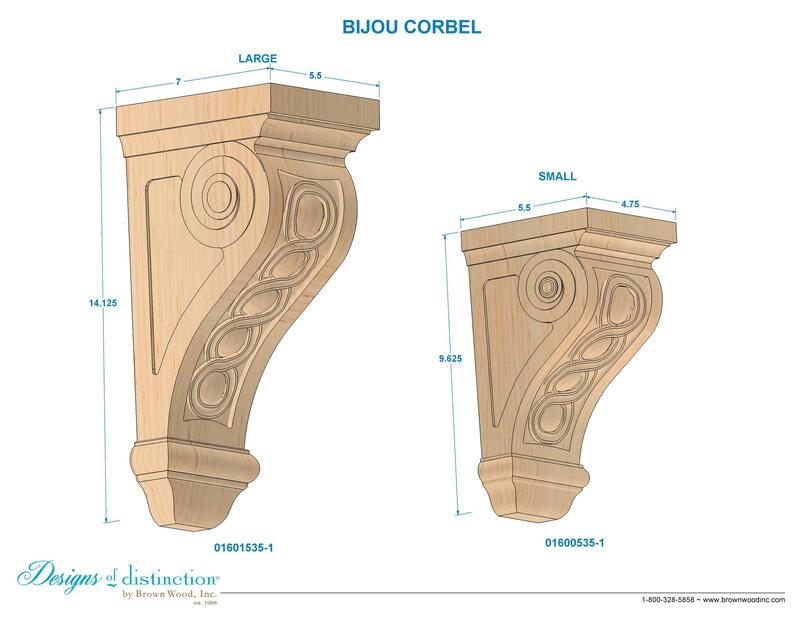 The definition of Bijou is “small and elegant, ” and it perfectly describes our Bijou Corbel. The fun and whimsical corbel is available in small and large sizes. The Bijou Corbel features carved interwove rings in Art Deco style, complementing contemporary or retro design. Establish a theme using all wood components from the Bijou Collection. Shop matching components in the Bijou Collection.